How many times have you set out to find a hairdresser, beautician, seamstress, or a wonderful dress shop for that special outfit… but had no idea where to start looking? The purpose of this page is to build a directory of style services within the Adelaide area that has been created by you. 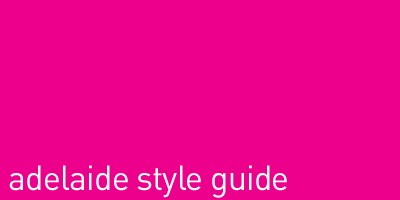 This is not an advertising service, but a resource for all Style Call site visitors to share. I would love to hear from you via e-mail at kathy@stylecall.com if you have been impressed with any service included in the categories below. I will add the name of the business, its address, and a contact name - if applicable. Feel free to include a brief comment and date of the service, too, so that we can keep this list current. I look forward to receiving your e-mails!